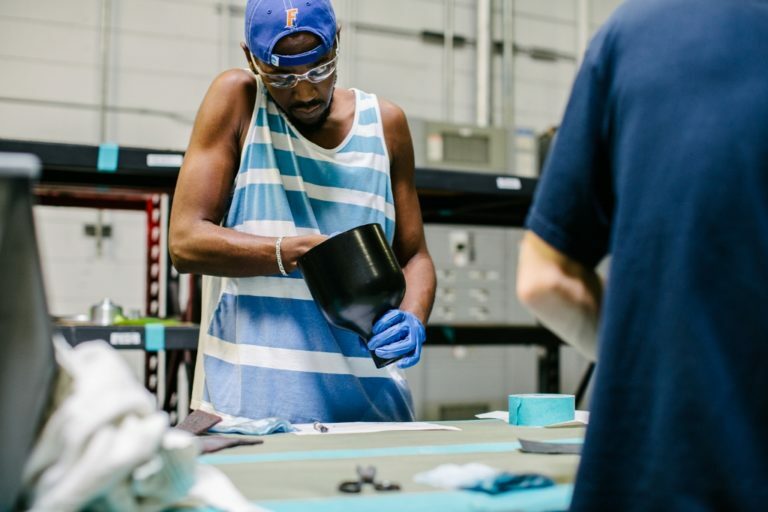 Now in its sixth year, National Manufacturing Day celebrates the collective effort by the National Association of Manufacturers and other organizations to heighten public awareness of the manufacturing industry and encourage connections with future generations. When Barn Light Electric opened its doors more than 10 years ago, owners Bryan and Donna Scott offered a new type of manufacturing in their Central Florida community. 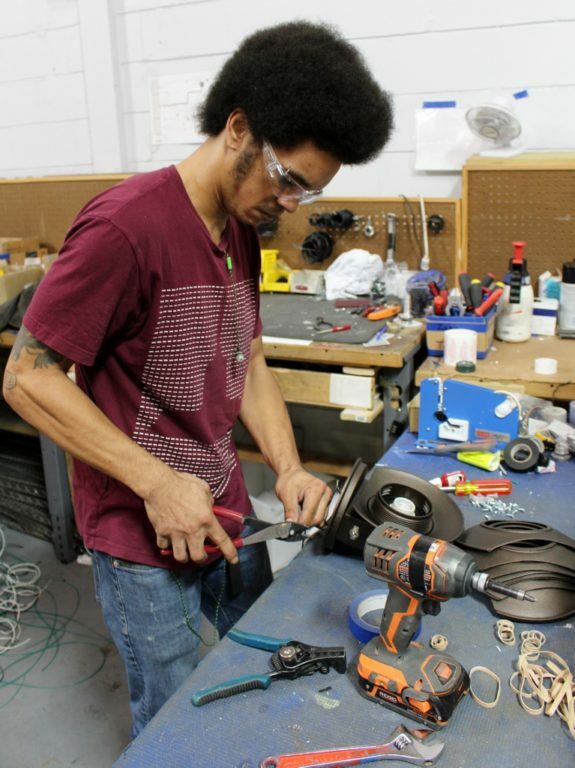 They sought out and trained staff in the art of metal spinning, pipe bending, assembly, powder coating, and more to create high-quality, vintage-inspired lighting. Today, the company ships to customers around the globe and is the only manufacturer in America crafting porcelain enamel lighting much in the same way it was more than 60 years ago. 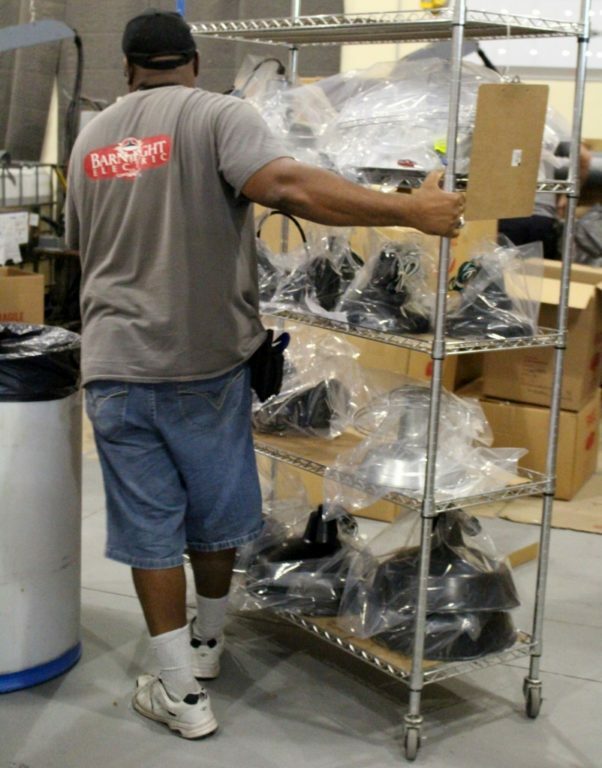 As the demand for American-made products has increased, the ranks in our manufacturing facility have grown as well. 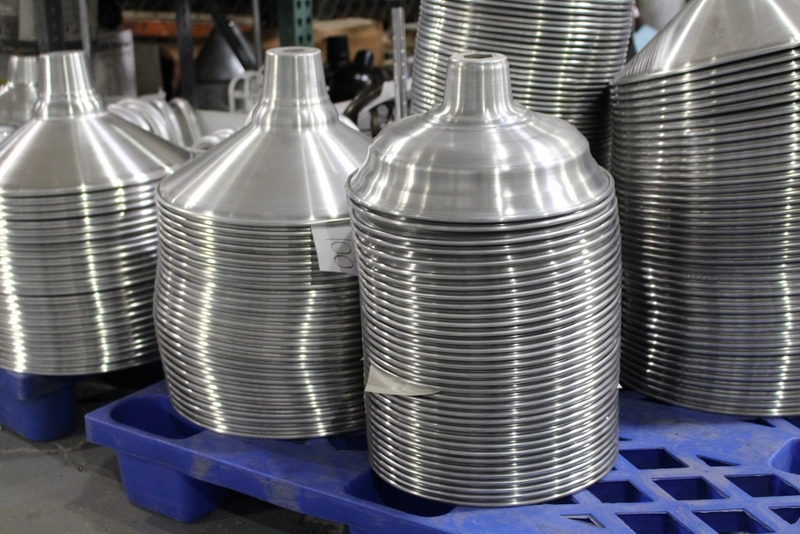 More than 120 employees contribute to the multi-step process of taking raw metal and transforming it into lighting, dinnerware, and furniture. “Once an order is received, our team starts the process which includes pulling whatever parts from inventory are available, then notifying our machine shop of what else is needed,” explains Mark, Barn Light’s plant operations manager. 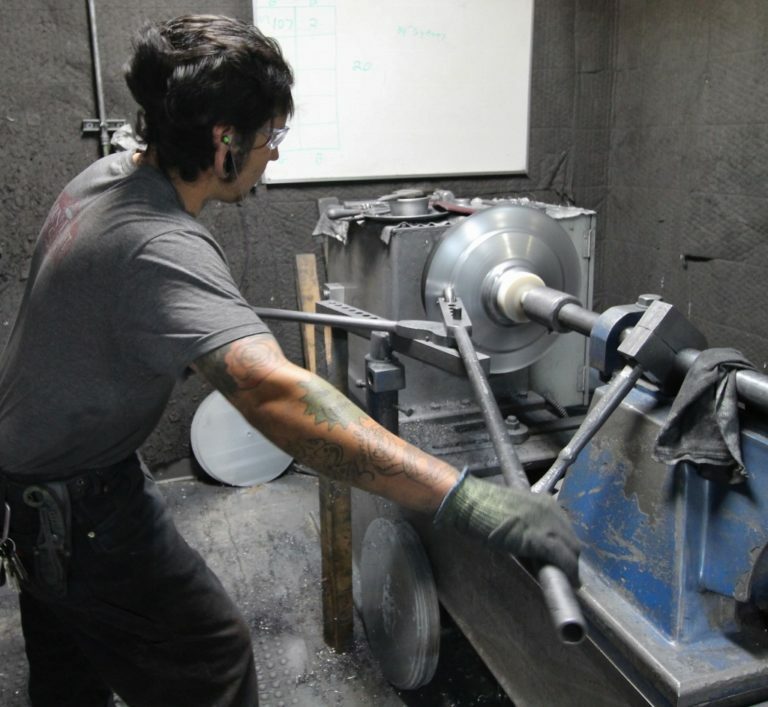 The machine shop buzzes with activity each day and is the space where metal is cut, pipes are bent, shades are spun, parts are welded, and holes are drilled. The prep team takes over and readies shades and other parts for finishing. Aluminum shades are powder coated while steel shades are prepped for the application of porcelain enamel. A separate team handles natural finishes including copper and brass. “There are multiple quality control steps along the way,” Mark says. “For any piece that doesn’t pass inspection by one of our QC team members, we start over. The goal is to craft fixtures that we would be proud to place in our own homes.” Once shades are finished, they are carted off to assembly where wiring, LED components, gooseneck arms, cording, or stems are added according to the customer’s customizing options. Once completed and through the QC process one last time, finished pieces enter our shipping department where they are carefully boxed up and sent on their way. 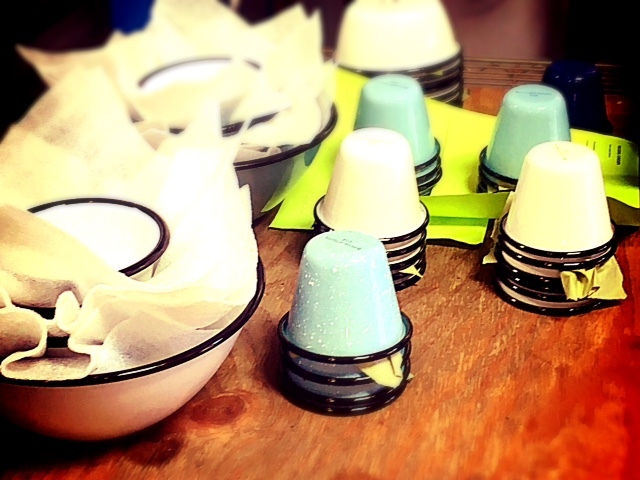 The same meticulous process applies to our Furniture Collection and our Porcelain Enamel Dinnerware which includes plates and bowls, cake stands, cups, and other serving pieces. Mark notes that while every team member has a specific job, everyone is willing to jump in where needed.